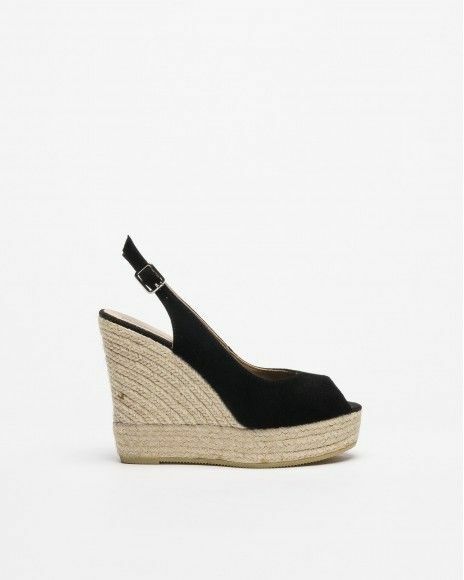 PROF Mona930 sandals for women in black fabric with suede touch upper. 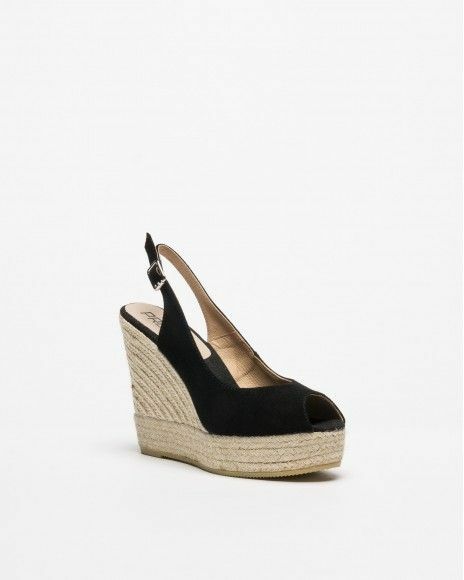 Black fabric detail on the ankle zone. Real leather insole and synthetic leather lining. 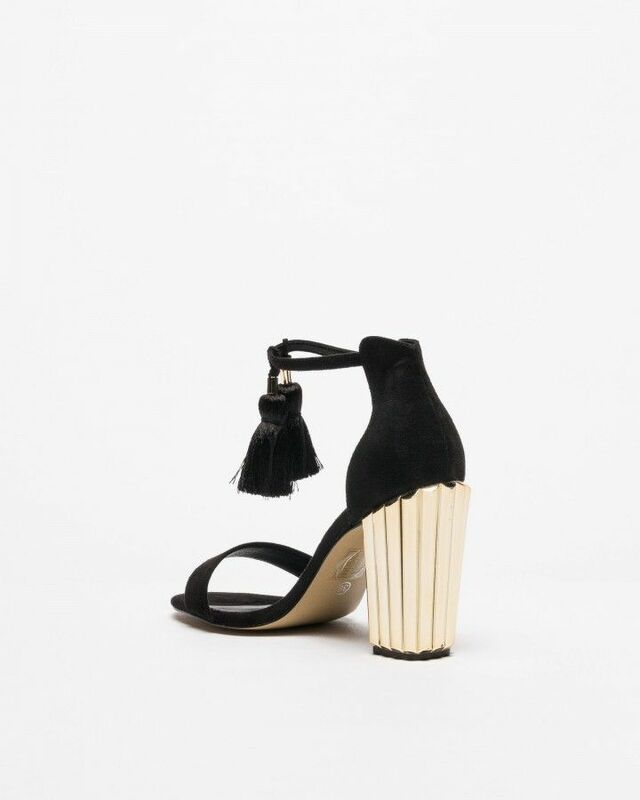 10 cm covered high heel. Side buckle.